Who knows where the Flamingo Fetish started. I did like hot pink as a teen. But somehow, like Topsy, it just grew. 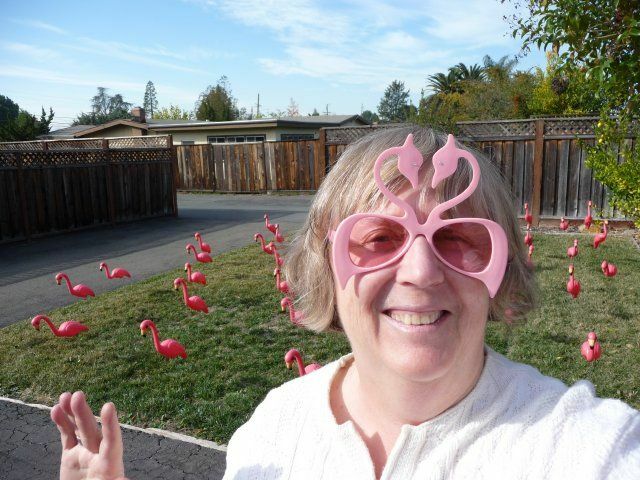 As with all collections, when the word gets out, you start receiving everything Flamingo, except a live feathered pink fowl on your front porch. Although I did find 100 of their infamous 50s plastic cousins on my lawn the first morning of my retirement from a 40-year career as a psychologist in 2009. 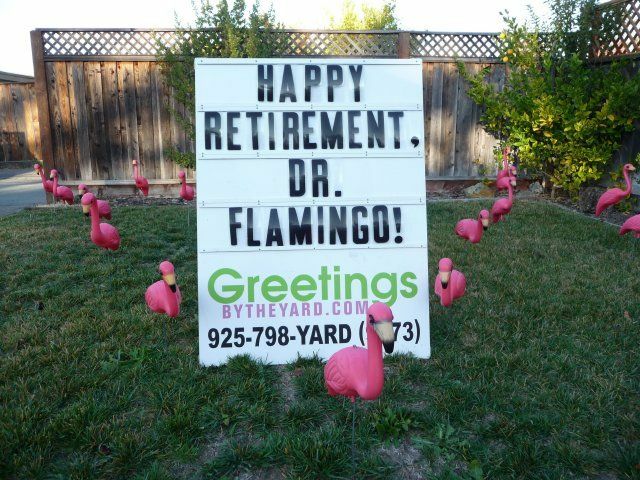 And during my years in practice, I had an online presence as Doctor Flamingo with advice for women of that certain age, complete with animated flamingos, some created especially for me. Doc Flamingo’s Flock consists of the exquisite antique ceramic flamingos complete with their ponds from the 1950s, my yearly Christmas tree, or rather, lighted palm tree with all-flamingo ornaments, Beanie Baby flamingos, and assorted kitschy flamingos of all shapes and sizes and varieties. My four-year old granddaughter knows that Mimi is a flamingo-lover and on New Year’s Day this year insisted I dress in Flamingo garb (yes, I do have flamingo slippers) and come over to her house to celebrate of Flamingo Day!